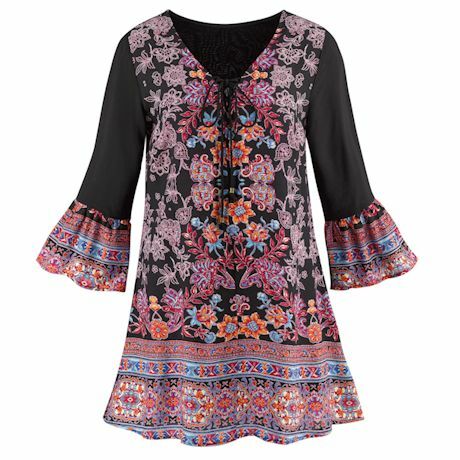 An ornate look for when you want to feel dressed-up, this lace-up tunic has intricately decorated long bell sleeves, a paisley-print front and solid-black back. Machine wash. 100% Viscose. Imported. 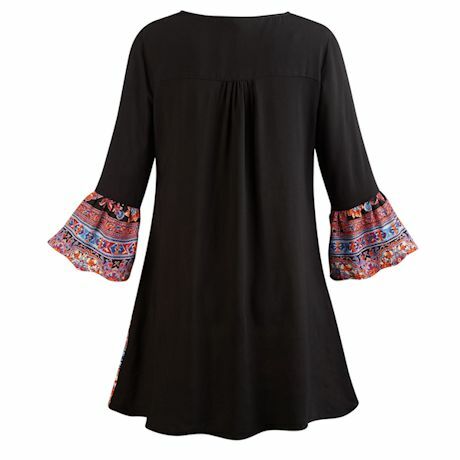 S(6-8), M(10-12), L(14-16), XL(18), XXL(20); 33"L.